First, to save me some “um, actually”-ing in the comments, please note I said “about,” not “exactly.” It’s close enough for my point, or what passes as my point. 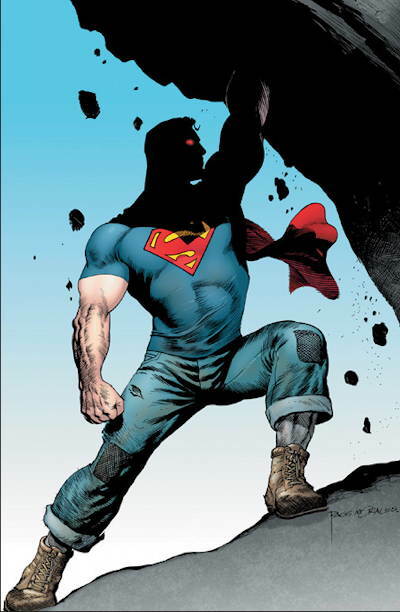 Second, it’s a bit “one of these things is not like the other,” I realize, since one is a debut issue and the other two are reboots of one kind or another, though you could read the “Death of Superman” event as an equally-influential revitalization of the franchise. 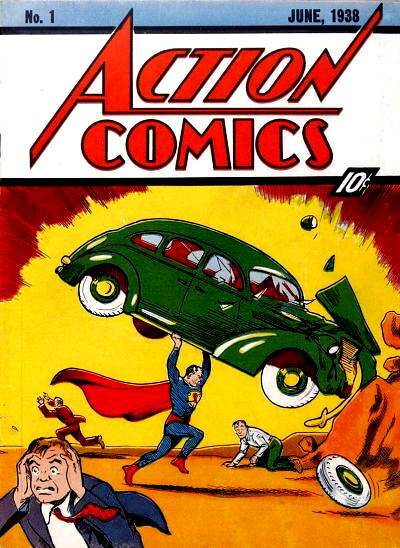 But when looking at the spans of time involved here…the debut of Superman (and, if not the launch of the Golden Age of Comics, at least its most significant event) in 1938, followed eighteen years later by the launching of the Silver Age* with the debut of the new Flash (itself only seven years after the cancellation of the Golden Age Flash series, and five years after the G.A. Flash’s last appearance in All-Star Comics ). My only point to this really is that, when I was younger, and was first learning about all these events in comics history, it certainly felt like we were talking about longer periods of time. Given all the talk and bandying about of the terms “Golden Age” and “Silver Age,” it came as bit of a shock to realize that only about half a decade separated the two eras. I mean, that’s barely longer than it took Ultimate Wolverine Vs. Hulk to finish. Conventional wisdom is that the customer base for comics turned over fairly quickly in those days. 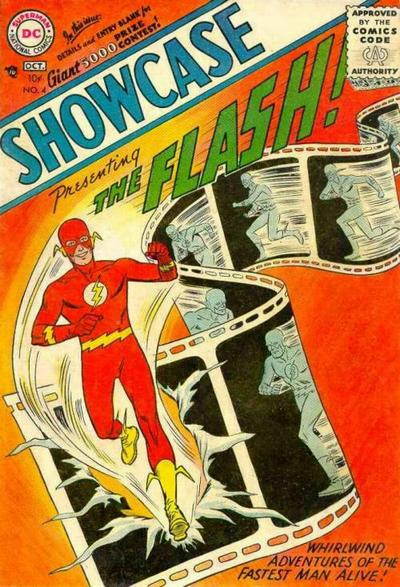 The kid who bought the last issue of the Golden Age Flash Comics , #104, had probably outgrown comics before Showcase #4 rolled along, and the kids who bought Showcase #4 probably had never seen the previous Flash. I mean, I wasn’t there, and I’m making some assumptions, and I know some people probably carried over from one “Age” to the next. But that was the general belief. Compare to today, when most people who buy comics have been buying for years at a time. In my case, using the Superman example…I was buying the comic in the early 1980s, I bought the Man of Steel mini in 1986 which restarted Superman’s history from scratch, I bought (and am still buying) all the main Superman series from then ’til now, and I plan on picking up the new relaunched Superman titles in a couple of months. That’s bit of an extreme case, but comic fans following characters or series for years at a time is more the rule than the exception, nowadays. At least, those folks are the primary target of the superhero publishers. The “crossover event leading into the next crossover event” publishing strategy is obviously not one they could have pulled off in, say, 1948, when the audience turnover would have meant people reading the end result of this strategy without having been there at the beginning. 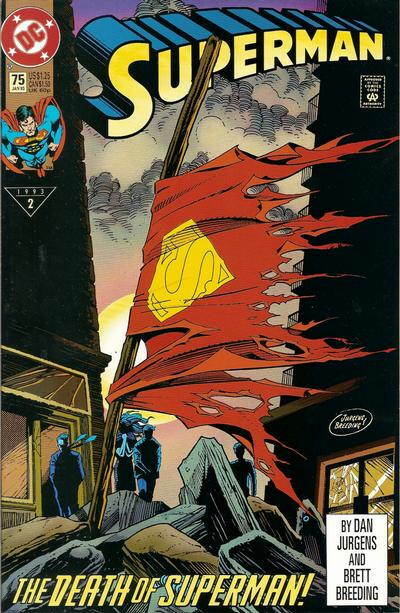 I picked the Death of Superman issue as an example because that’s a relatively recent event that a number of us recall happening during our comics-reading (and for some of us, our comics-retailing) history. It’s a pretty solid timestamp in our memories, a “where were you when…?” kind of thing. (Where was I? Explaining to an enormous and increasingly-irritable crowd of people “uh, only one customer, please.”) It doesn’t seem like that long ago to me, and yet the time that has passed is longer that the original run of The Spirit and the original run of Fawcett’s Captain Marvel . But if there were a primary point to all this babbling, it is simply that I was somewhat amused by comparing the two timespans above. And yes, I know not everyone who’s reading this has been reading comics for decades. Let me wallow in my dotage in peace. * Some people mark the beginning of the Silver Age with the first appearance of the Martian Manhunter. And, y’know, that’s cool with me. Oh, by the way, all images are from the Grand Comics Database. I was too lazy to dig out my copy of the original Action #1 to scan. I think the older we get the more likely we are to be amazed by the passage of time. I recall buying my first Beatles album in 1980, and to me it seemed like the music had been created in the dark ages. The 60’s were ancient history to me. In reality, the time between the last Beatles recording session and that first purchase by me was less time than “hanging chads” in Florida and now. Hell OJ’s Bronco run was 20 years ago. thought you were taking the 4th off? bl0000 – I was taking my 4th of July holiday yesterday! I, too, worked at a now-gone comic shop on death day. Our biggest problem was trying to make certain locals–we were on an arterial street in Chicago–had a fair enough chance to get their own copy faster and so we had two lines. One for the regular, one for the complete strangers that were in front of the door when I came to open and quickly shut it at 7:00 AM. I envied the dead that day. Almost 18 years ago. And it wasn’t until I bought a few Showcase editions that I realized that not just Flash, but GL, even The Atom and Hawkman were barely ten-fifteen years removed from the hardback All-Star collections I have. I had a similar experience with regard to comics and the passage of time a few years back. My then high-school age son was rereading some of my mid-to-late seventies comics and I realized that for him, those comics were as separated in time from the modern era as comics published during World War Two would’ve been to me when I started getting into comics in ’74. Now, unlike most of his contemporaries, the comics published from 1975-1980 happen to be the ones he enjoys the most, but my son’s always marched to the beat of a different drummer. In similar context, the gulf in time between the publication of the Dark Phoenix storyline and today is the same as that between its publication in 1980 and the beginning of the Korean War. It’s been almost 20 years that Kurt Cobain has been dead. There’s a whole generation who consider Nirvana their parents’ music. John Lennon’s been dead for over 30 years. Elvis, almost 35. Jimi Hendrix, over 40. Many of the people reading this post (myself included) have been reading/collecting comics longer than all of these events. I have my own time stamp. I was born in 1959, so whenever Mike talks about being a wee Mikester I think about the fact that I was in 4th grade and comics were about to go up in price by three cents. I finished reading the entire run of the Silver Age Green Lantern earlier this year and some of the most entertaining material was found in the letter column. Some of the diehards from the ’40s who hadn’t stopped reading comics would write in to complain about how stuff wasn’t the same, like having this guy Hal Jordan instead of bringing back Alan Scott or how comics were better back in “their day.” Julie Schwartz would smack them down and openly lament about how fans can both keep the fire burning but also smother innovation if they had their way. I’m with Wayne. I clearly remember my disappointment when my hard earned (collecting pop/beer bottles for return) 48 cents only got 3 comics instead of four! btw, who’s Kurt Cobain? Wasn’t he Nightcrawler? Wait, Ultimate Wolverine Vs. Hulk finally finished? Lankyguy – Shocking, I know!